2K has released quite a few NBA 2K18 screenshots and player overall ratings over the past couple of days. Check them out below and post your thoughts. Definitely needs more muscle definition, as do some others. Still, 2K is moving in the right direction with these player models. A welcomed change. Hoping Leonard can really be the lockdown defender in-game he is in real life on the hardwood! Who do we blame? 2K or Kawhi for not going in for a new scan? The bodies aren't scanned, so that's on 2K. We all know the 2K guys are big basketball fans. We know they watch the games. They see photos. And they also have videos available to them. So I don't know why they cannot get these bodies more accurate. Don't get me wrong, they look MUCH better than last year. Big time. But that's not really saying much. How do they not see pictures of Kawhi, Giannis etc, and not think "ok, we better add some definition. These guys are ripped". I wonder if they purposely leave stuff out/take stuff out every year just so the following year they can "improve" on it. I would prefer to use Kawhi Leonard in real game footage to determine his look as opposed to using google image (where they're likely using high powered expensive DLSR camera). Since 2k is about capturing the athlete's look in motion, it's more accurate to use real NBA footage of the person. 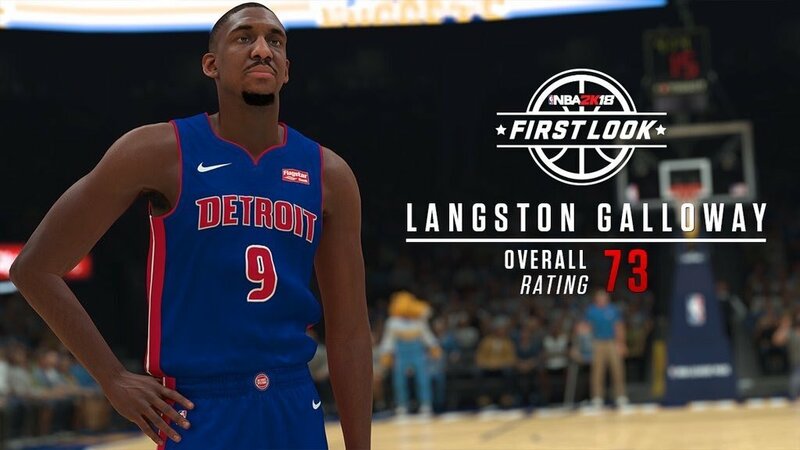 Kawhi is certainly cut for sure, but I do not want to see 2k going in the direction of Live where all their player models are entirely too cut. 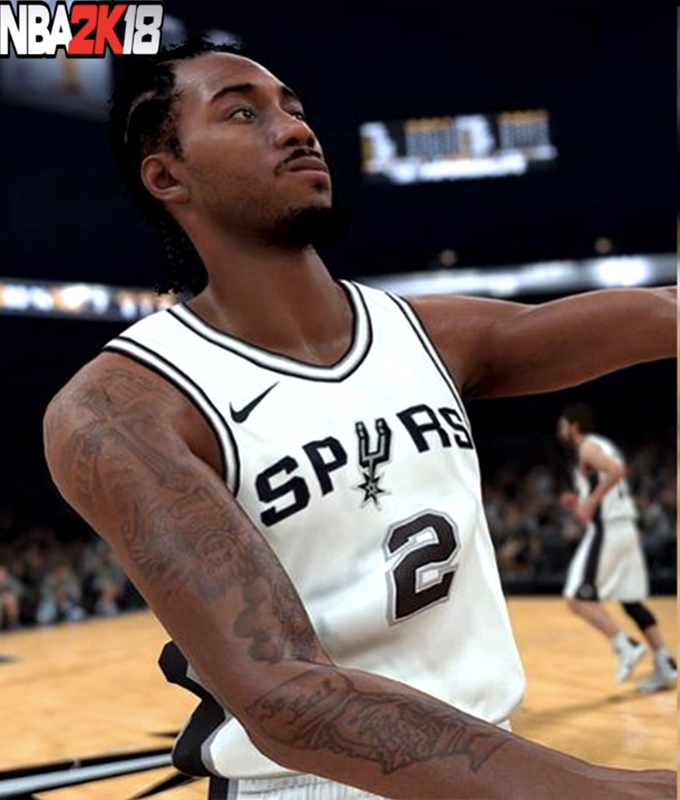 2k18's Kawhi looks to need more girth on his arm. But I'm honestly going to wait to truly judge his body type when I see it in motion. I wrote about this in a different post (scroll to the bottom, I've include that post here below). Does anyone else want to say this? I don't think it's been posted enough yet in the screenshot threads. Kawhi is certainly cut for sure, but I do not want to see 2k going in the direction of Live where all their player models are entirely too cut. Guys watch the trailer again....2k18 has some muscle definition it's not as pronounced as Lives. If Kawhi was flexing under the right lighting you should be able to see some muscles. Unless you're on the sideline with a powerful camera taking pictures for sports illustrated you're not going to see that kind of definition while playing the game. Do 2K players flex when driving, dunking etc? I honestly cannot remember. I always thought their arms stayed the same. It seems like they could only do one at a time either new better models with no muscle definition but not both. Only if they trade for him. That conspiracy is so tired and ridiculous. Seriously, think about it: Why would a developer remove a feature, knowing they'll get chastised for it by their player base, only to bring it back the next year and have NO ONE appreciate it because "it used to be there and never should have been taken out". It's an obvious lose-lose. I'm pretty sure they reduced muscle definition in recent years because it conflicted with something or caused too much of a performance hit. The only time you can even tell the lack of muscle definition is when you zoom in on a replay. I'll gladly take improved performance over that for now! Little underwhelmed by this one. Wish he'd get scanned again..... definitely lacking some beef too IMO. Was looking forward to seeing him too. They talked about all these different body types. Yet it seems every player has the same build, or very close to it. And his neck wouldn't look that long if they gave him some actual traps. 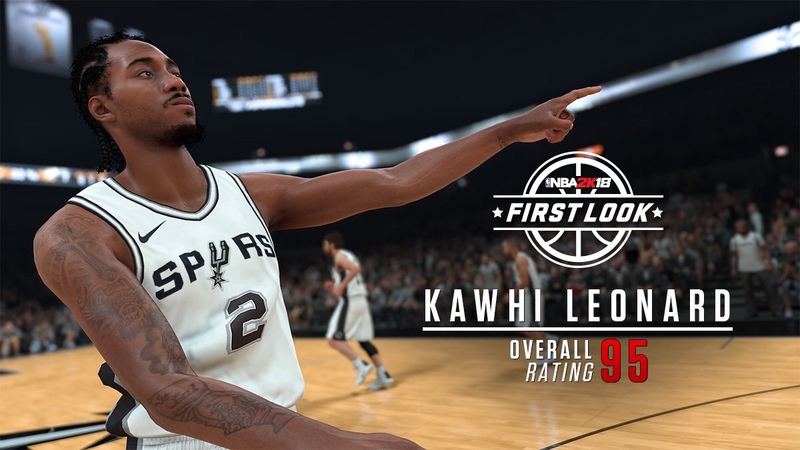 I doubt it is high on Kawhi's priority list, but that rating should be the same as Durant (and LeBron). art director - players accuracy.....if you need to move it another month to have the accurate players look so be it just dont release it like this. The body types are better but they should add add a muscular body type. No doubt. 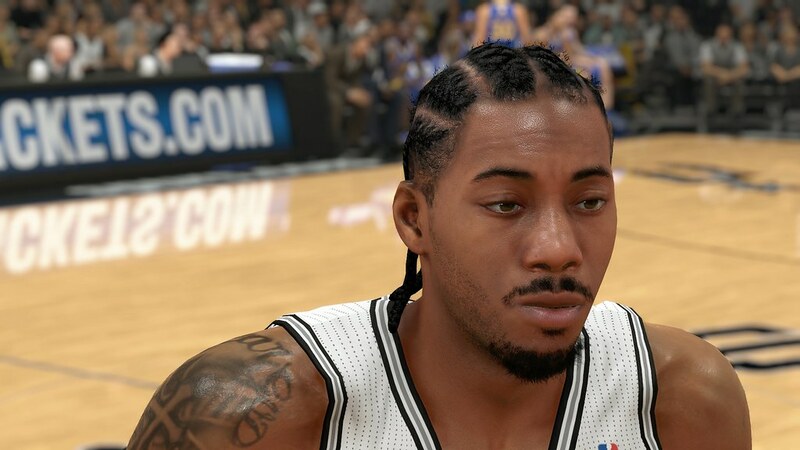 I don't think Kawhi is someone who cares about his face scan being accurate in a video game. This is unfortunate for us. IMO it does look like him but it's not on the level of detail as say Lonzo Ball.. Right now who picks Kahwi #1 overall in a draft league without legends? I expect a lot of people to pick him this year. I've still got 2K14 and this is the exact same face. Not only has he aged a little but he has never had that facial hair (and needs a lot more beard). Pretty disappointing body size and tone too. This is THE Kawhi that 2K should have scanned. The Davis Bertans one is REALLY good compared to how he looked in 2k17. Wonder why they didn't show Lavine's face? Anyone wanna do a nba2k17 comparison on the Zach Levine pic? Shorts look like they might actually be fixed.. or st least improved, but I'm not sure. Screens look good. Colors really stand out this year. Reds finally look red. I don't think we've had gameplay prior to a few days before release in years now, wouldn't get hopes up. Miss the days when someone or 2k themselves would just unleash 4 quarters full gameplay of multiple teams going at it. Always liked seeing what they did for my team. Trailers are honestly a complete waste to me, could care less (aside from '14, that was cool at the time, now it's just meh). Adh5199 brought it up in another thread with the Glenn Robinson pic, but I can kinda see the time or some numbers on the arena ribbon in the Kawhi pic. It's just closer in the Robinson pic. Is that a Spurs arena thing? Looking good. Tho I still think these guys having tiny waists and no behinds are really funny-looking. Booker at an 86 and LaVine at an 80 is laughable. We might get a trailer before then but if you are looking for actual 5 on 5 gameplay, leaked gamescom video is probably the best bet. 2K usually doesn't put out too much 5 on 5 gameplay before release. Mostly trailers, video blogs, and a Livestream. Yea the gap between the two isn't the large , I think it's that 70 point game to have him that high . Have you seen his real nose??? I'm very disappointed for Kawhi's face. No beard and three years old hair style. To coincide with the release of Madden. Sounds about right to me. No better way to take away attention from that franchise. If anything, Madden would overshadow 2K. I'm a bigger 2K fan, but Madden is way more popular. I'm not one to really discuss pre-season ratings because they'll be essentially meaningless by Thanksgiving, but don't forget Lavine blew out his knee and probably isn't going to be ready until late November at the earliest. So that probably contributed to him being an 80 overall by knocking down a few of his attributes. Not in game sales. 2K actually sold more copies last year. 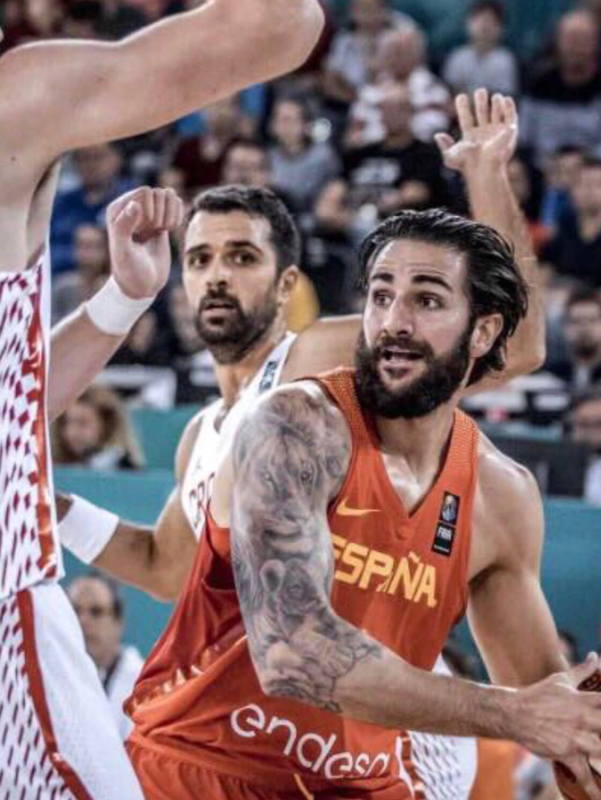 Yep....basketball is more international and Vni makes up most of that sale. Oh shhh-, I stand corrected. I just assumed Madden still had them. I guess I wasn't thinking internationally either, like Goffs pointed out. You better believe 2K stills feels salty at EA for monopolizing football. They will do whatever they can do to disrupt sales whether by releasing a trailer on Madden's release week to releasing NBA 2K in mid September. It has worked by proof of the rising 2K sales numbers and declining Madden numbers. When you think about it, 2K didn't sell the first 2 million copy game until NBA2K10 (Kobe Cover). Basketball was seen as a fringe sport when it came to sales,but they've grown the game into a 8.5 million copy game, impressive. purely by making a great game. When you have developers who have a genuine passion for what they do the NBA 2K series is what you get. They got rewarded for all there hard work with sales numbers they earned. His face is so wrong and missing all his hair, and I agree with others about muscle definition! They should just take some notes from some of the mod people and add it in along with unique muscle files. His face is so wrong and missing all his hair, and I agree with others about muscle definitely. The unfortunate reality is, they stick to the scans they have. We need Kawhi to get re-scanned. But I highly doubt he cares. Interesting thing here (merely speculation) - but I believe Westbrook didn't get re-scanned last year. But they did update his hair. I am 90% sure his face scan was re-used. In fact I don't believe he's had a scan since 2K14 released (gen 4 version of course). If I'm right, making hair updates or (in Kawhi's case) facial hair updates would be something they have done. Does Kawhi really need an entire re-scan? Just give him his beard and his face will look extremely close to real life. We should be able to edit this ourselves. Ha, it's so bad tho. Just look at that Acy pic. Their wastes etc are so small. Looks so odd. And every player suffers from it. Look at the dude in the background. If it were just really skinny guys, fine. But it's everybody. Of course, I haven't played it/seen it in raw format..... but just knowing how bad 2K17 was (body models), I'm fairly sure I'll forget about the players asses the minute I start playing. 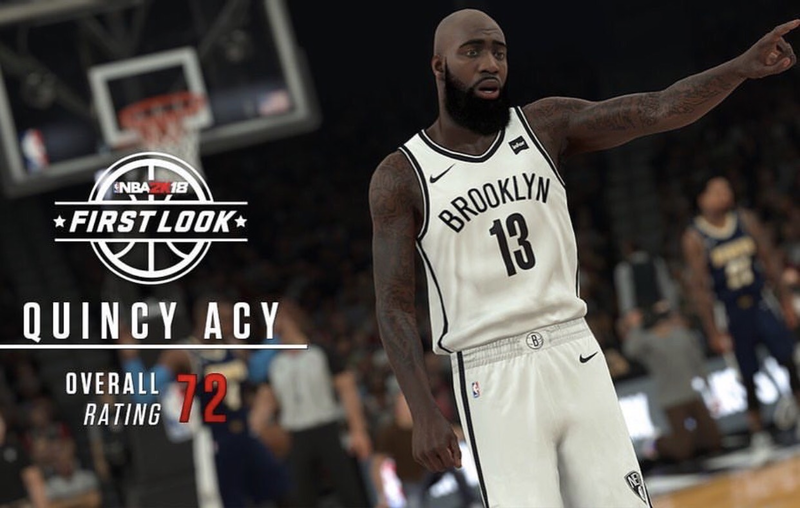 Quincy acy is a 72?? There's probably a reason we can't. Can you imagine what people would do to LeBron or Durant? I fared better, i watched the playoffs too. I was so devastated when he got hurt in gm1 against the warriors. The pc version looks so cool! Just like Kawhi, Zach and a few other players Portis was likely not re- scanned. The default version of Kawhi is likely from 4 years ago, sometime in 2013, so of course it is going to look dated. The technology has improved and Kawhi has grown out his beard, but his body type still needs work for the official version. He has bony shoulders, but muscular arms and deltiods. That mod version attempts to recreate the look, but just looks weird or awkward to me. No sports game since the PS2 days allows you to fully edit the appearance of the in - game models/players. Probably has to do with something written in licensing agreement and the leagues/players not wanting to be 'poorly' or 'incorrectly' represented. If they can update Evan Fornier's face for 2K18 without a scan, why can't they do the same for Kawhi Leonard and Chris Paul? Fournier was scanned prior to the release of 2K17, but his scan wasn't used until the release of 18. He isn't a artist's render of Fournier. Ah I didn't know that, but still can they add a beard to the current scan of Kawahi and make CP3's stuble darker? Nothing says "our game's going to be phenomenal this year" like refusing to show any gameplay footage until a week before release. I understand the kind of leverage these guys have, due to their enormous success the past 7 or 8 years, but as a consumer it really irks me the way they do this every year. Say what you will about Live, but at least EA is giving you a real look at the game. Those 'Momentous' trailers are dope to watch but they show you essentially nothing. C'mon 2k, sell me! You aren't the only game in town anymore fellas. Nothing says "our game's going to be phenomenal this year" like refusing to show any gameplay footage until a week before release. * I understand the kind of leverage these guys have, due to their enormous success the past 7 or 8 years, but as a consumer it really irks me the way they do this every year. Say what you will about Live, but at least EA is giving you a real look at the game. * Those 'Momentous' trailers are dope to watch but they show you essentially nothing. * C'mon 2k, sell me! * You aren't the only game in town anymore fellas. Live really isn't much of competition yet though. That game has a long way to go. And Madden didn't release gameplay until last week, 2 weeks out from launch. EA is just desperate for Live to leave a mark, and putting out a demo and a pre-order that's $20 off the release price is just an attempt at good marketing. FIFA has no gameplay out either. Live is the exception. I hear ya! I'm a Thunder guy so was REALLY pulling for the Spurs. They were looking amazing in G1 aswell. I don't think one half of one game would tell the story of the series. 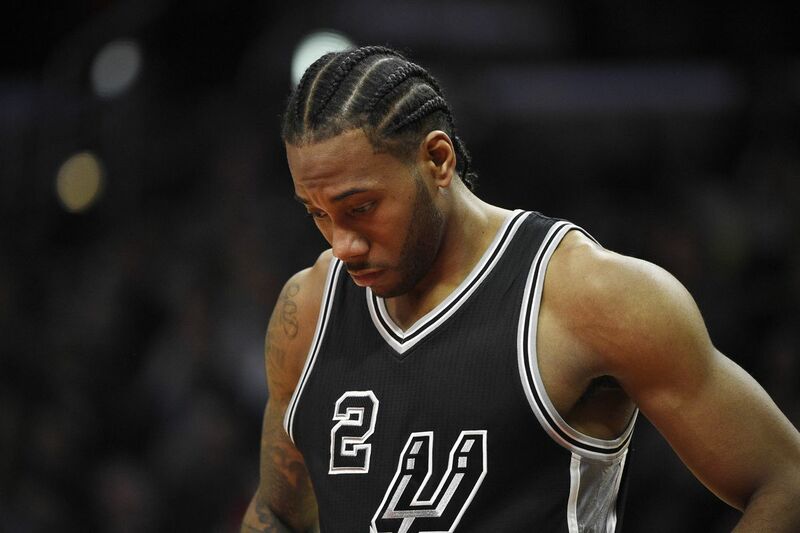 Kawhi re-injured his ankle earlier in the game when he slipped on David Lee's foot getting to the bench. Which certainly didn't help. I like Pop, but his comments were pretty silly. This is the same guy who loves Bruce Bowen lol. Even Kawhi said it was just a closely contested closeout. Which is what happens to Steph on like 70% of his shots. Watch the way he alters his landing spot. Meh. Hopefully no one gets hurt this year. He, like others, doesn't need to be, just needs a hair update as his scan is really good. GoDucks1224 I don't know man, it's all personal preference but I'm having more fun with Live 18's demo than I did with 2k17 at any point last year. EA still has some work to do for sure, but I could say the same thing about 2k. They have serious game flaws that have been unaddressed for years now, and I just don't like the way they change the game so drastically and frequently after release via the patches. Also not a fan of the VC system but maybe it's just me. I want 2k18 to be amazing , don't get me wrong, it would just be nice to get more info and less screenshots. A real demo wouldn't hurt my feelings either. And what's with the arm sleeve looking gray? And Thon Maker isn't nearly that bulky...unless he got fatter in the off-season? Added the Harley ad I see. New Kawhi looks good, finally!! I recall hearing about how elite defenders stance is different to that of average defenders from one of the guys at the Team Up event. The thought of Kawhi feeling/looking different when playing defense is cool. I like the idea of cosmetic differences on the defensive end just to make players look/feel different. Add in his beard, length etc. and I know I will use Kawhi a lot more this year in 2K. He's going to look great from a broadcast cam. Well, I'm torn between playing the triangle with classic bulls and the swing offense with today's spurs. I might go with the latter first. Anyone spotted this in 2K18? 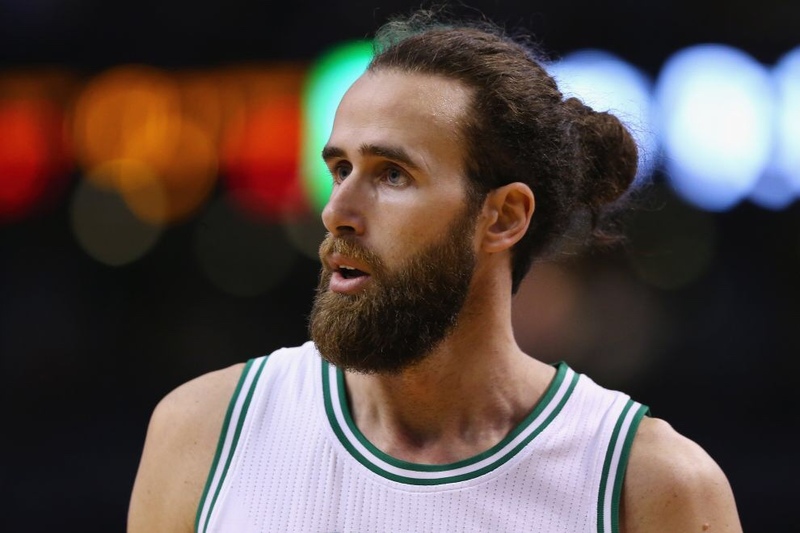 He reminds me of Luigi Datome now lol. With a giant tattoo. Not surprised at all. Would probably require a scan. Some Players on the NBA 2K18 All-Time Lakers Team Revealed, Who Deserves to Join Them?